1. 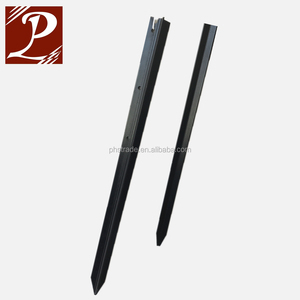 Star picket with flat tip,same length tip sizes and beautiful painting. Main Market: Australia,New zealand,Middle east,South africa market. 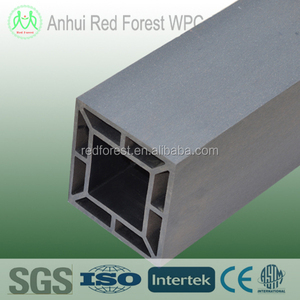 Surface treatment: paint or hot dipped galvanized The weight, length and packing type also can be produced as your request. 1 YRS Hebei Pingu Wire Mesh Manufacture Co., Ltd. Therefore, recycled plastic is for free and it is the main part for sustainable industry. 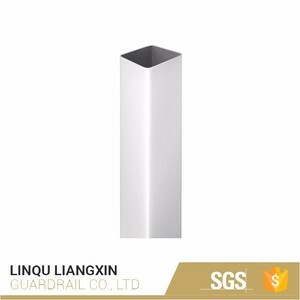 The Longlife Posts are made from waste plastic that is sorted graded and blended with UV stabilizers. This closely controlled recycling and manufacturing process ensures the posts are robust, flexible and can last for years. 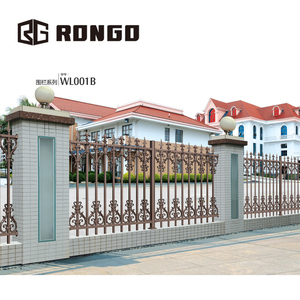 5 YRS Guangzhou Aeomesh Wire Mesh Co., Ltd.
2 YRS Tianjin Yunshengda Import & Export Trade Co., Ltd.
3 YRS Xiamen Haoheng Industry And Trade Co., Ltd.
1 YRS Euro-Fer China Huakun Metalwork (Rizhao) Co., Ltd.
10 YRS Anping County Dehong Metal Mesh Products Co., Ltd. If you want to visit us, we can pick you up at Beijing or Shijiazhuang Airport. 3.Can I get samples9 Jinzhongbang will provide free samples for your evaluation. If you need larger pieces, please contact us for a quotation. 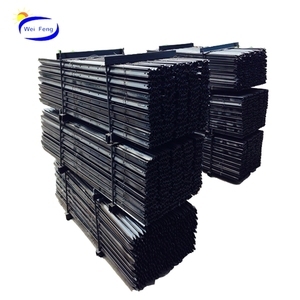 Welded Wire Fence Material: galvanized wire,pvc coated wire,ss wire Weaving and features : Weaving and welding Application: Safeguard of road, railway, airport, residential district,wharf and port, garden, breeding, poultry-raising etc. 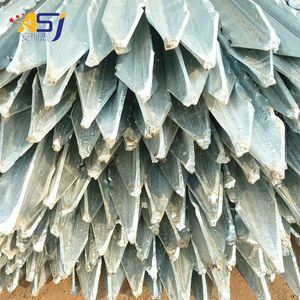 Surface treatment: Galvanized first then PVC poweder spray,Galvanized first then PVC coated, Only PVC coated Advantages : Resistant to corrosion, ageing and sunlight. Reasonable price and delivery on time Specification: Welded wire mesh fence Wire dia 3.0mm-6.0mm as standard,&lt;14.0mm is available Opening 50*100,50*120,50*150,50*200,75*150,75*200 Height 0.8-2.0m(as standard. Palisade fencing is a cost effective way to providing a high level of security to the boundary line of any property. 5. We have professional and advanced machines to meet your requirements . 6. We can provide you high quality products with reasonable price. As you can see, Chain Link Fences really does a great job for so many fencing scenarios. Panel size means that only one panel needs removing for vehicular and machinery access. Panel stabilisers used to ensure sturdy fences on long runs or wind prone areas. (popular: H post) You can aslo choose the dip in post or Base plate post. Installation method of Metal Palisade Fence Easy to install,we provide all the accessories of Metal Palisade Fence . 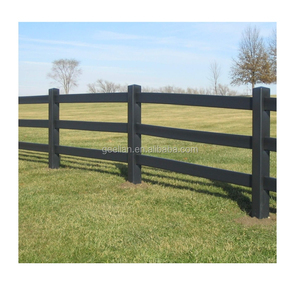 Application of Metal Palisade Fence : Metal Palisade Fence is one of the most practical styles fence,relatively easy to install,and very cost effective. 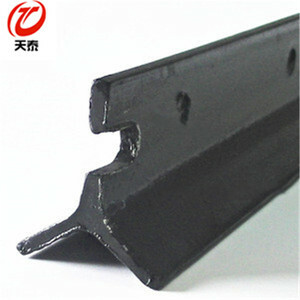 Alibaba.com offers 110,093 stand post products. About 1% of these are mailboxes, 1% are fencing, trellis & gates, and 1% are other sports & entertainment products. A wide variety of stand post options are available to you, such as paid samples, free samples. 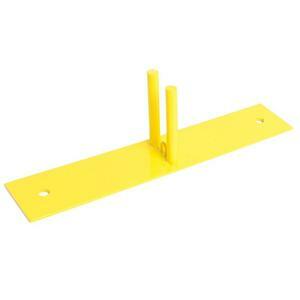 There are 110,093 stand post suppliers, mainly located in Asia. The top supplying country is China (Mainland), which supply 100% of stand post respectively. Stand post products are most popular in North America, Eastern Asia, and Southeast Asia. You can ensure product safety by selecting from certified suppliers, including 1,967 with ISO9001, 750 with Other, and 576 with ISO14001 certification.